Palisade security fencing is a cost Effective Security Fencing Protection system. 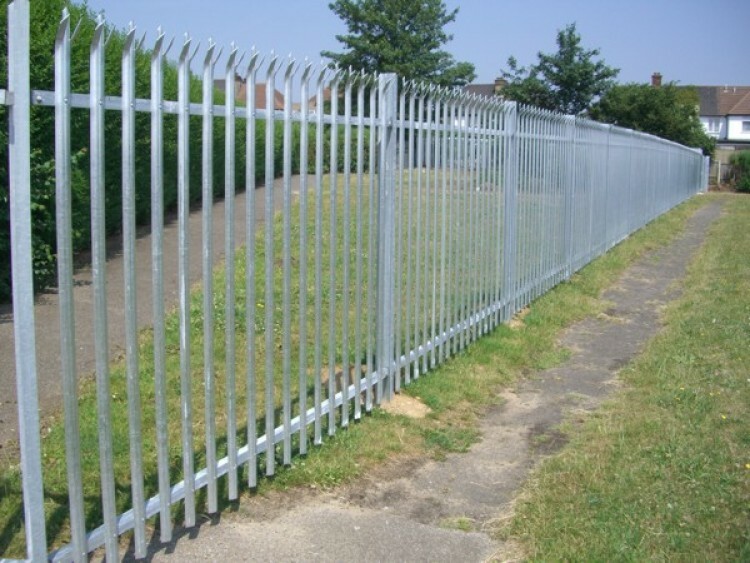 Palisade security fencing offers a cost effective and efficient solution to deter crime and vandalism and is designed to provide a formidable barrier. From a low risk perimeter demarcation through to the protection of installations categorised as being of significant strategic importance, we offer a specification for your consideration. A range of heights from 0.9m to 4.0m are available with a number of optional pale heads to suit a variety of duties. A wide choice of specifications are available to offer a solution for differing levels of perceived risk. It is a simple task to identify a solution to suit your requirements and our sales department will be pleased to provide advice or to answer your specific queries. 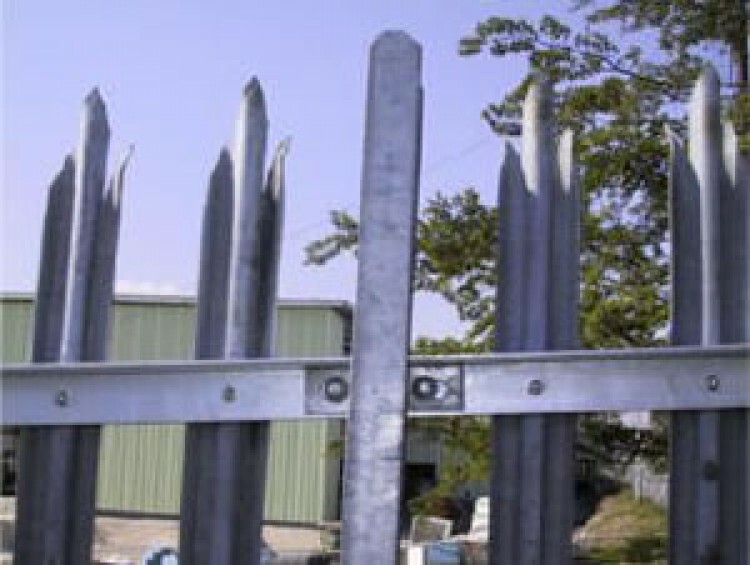 Based in Wolverhampton, West Midlands, just 4 miles from WV1 1SH and 2 mins from junc11 M6, Boundary Fencing and Gate services has over 25 years of experience behind us we are pleased to offer a product of the highest quality which is recognised by Insurance companies, Law enforcement agencies and our many loyal customers as providing a secure method of perimeter protection. A standard palisade fencing panel is constructed from hot and cold rolled steel sections supplied for assembly on site. Panels consist of 17 vertical pales manufactured in "D" or "W" profile with a choice of tops. The pales are fixed to rolled steel angle horizontals which are supported by 102 x 44 joist posts. A fish plate passes through a slot in the post and secures the horizontal rail captive in its position. The pales are connected to the horizontals to form the panel and are held securely together by utilising vandal resistant security fasteners. Palisade Fencing is supplied in 2.75m wide standard panels for easy assembly on site. Special panels and posts to step or rake can be supplied if required. Non standard posts for cranking over walls, or base plated for fixing to concrete are also available. We welcome assisting clients with fencing solutions for specific fencing problems or difficult site conditions. From the fierce Triple pointed top to the Round head, each top complements a particular requirement to meet a perceived level of security risk. A choice of"D" or "W" sectionis offered with a variety of heads and thicknesses chosen by the risk assessment for a particular site. Boundary Services offer a 24/48 hour delivery service. A range of standard heights and specifications are available together with a range of complementary Palisade gates.